Draft law will simplify naturalization procedure for investors and students. According to Russian daily Kommersant, businessmen who invest at least ten million rubles (about $300,000) in Russia and graduates of Russian schools who have worked in Russia for at least three years will be eligible for the simplified naturalization procedure. Investors who hold at least a 10 percent stake in the authorized capital of a Russian legal entity are also eligible for naturalization. The authorized capital must amount to at least 100 million rubles ($2.9 million). 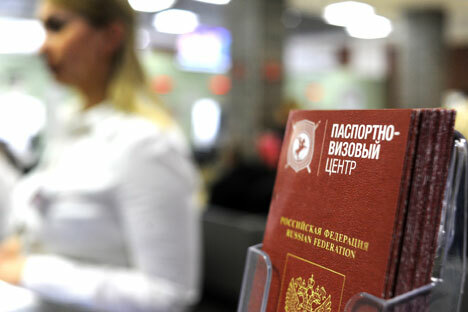 For students who aspire to Russian citizenship, the new law requires them to have earned a professional degree after July 1, 2002 and have worked in Russia for at least three years. The law does not require the three years to come after the degree has been received, so students who are both working and going to school can start adding to their three years before graduation. WorldSkills International Russian Technical Delegate Pavel Chernykh said that the new law could apply to 2 million students. "Foreign students amount to 20-25 percent of the entire student population. As a rule, they are citizens of Turkmenistan, Uzbekistan and Moldova," Chernykh told Kommersant. Vladislav Grib, deputy secretary of the Russian Public Chamber, is opposed to the measure. Grib argues that the proposed law may increase the burden on the state budget because the amount of investment required is too small compared to the investment the country much make in its new citizen in terms of pension and health care obligations. Majumder Amin, head of the Russian migrants’ federation, believes that the initiative will improve the investment climate. “If the law is adopted, more representatives from China, India and Europe will start to invest in Russian economy. It will be easier to control them as the Russian citizens,” Amin said.